If you’re looking to kick-start your career in a challenging and diverse industry, then engineering Apprenticeships are an ideal place to start! You’ll combine on the job training with off the job study allowing you to obtain engineering related experience, skills and an industry specific qualification. Engineering Apprenticeships can include roles in civil engineering, electrical, marine, heating, aerospace engineering and more from intermediate level to degree level. Search and apply for engineering Apprenticeships on Careermap. For more information contact us at info@careermap.co.uk. Engineering Apprenticeships are an ideal way to kick-start your career in a wide variety of challenging and exciting industries. There are opportunities to learn and gain nationally a recognised qualification whilst getting a weekly wage. The range of industries that are available to engineers is staggering – automotive, aerospace, civil engineering, electrical, energy, hydraulic, marine, mechanical, mining, process engineering, systems engineering, telecoms and transport. Things are always going to need maintenance and there’s always going to be a need for a qualified engineer, one of the many reasons why engineering Apprenticeships are in such high demand. Within these sectors there are then hundreds of services and roles you can turn your hand to, such as operating machines in factories, installing telecoms systems, technician, analysis and testing. We have listed several opportunities for entering into engineering Apprenticeships, simply click ‘View now’ and go to ‘apply now’ if you’re keen to get your career started. 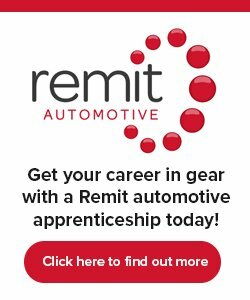 Engineering Apprenticeships – What does it take? Engineering Apprenticeships are available for those who possess the right attitude and mind-set. Manual and technical skills are very important in this sector, a good personality fit usually consists of being good at problem solving and possessing an enquiring mind. Qualifications in maths, IT and science and pertinent, as is the ability to work in a team to achieve whichever project you have been assigned. For any women reading this, do not be put off by the fact that 93% of engineering Apprenticeships have been taken on by males. The engineering industry is actively striving to encourage women to engage across England, Scotland and Wales to contribute their skillset where they otherwise might be put off. Engineering Apprenticeships vary in difficulty and skillset need. For those entering a Level 2 Apprenticeship there are roles available in electrical, production planner, repair technician, welder and lift control systems maintenance engineer. Advanced engineering Apprenticeship roles at level 3 consist of roles such as watchmaker/clockmaker, plant maintenance engineer H/V, telecommunications maintenance/service engineer, repair and overhaul engineer (aircraft engine). Discover which engineering Apprenticeships are ideal for you and head over to ‘View now’ and take the first steps to building your career with careermap.